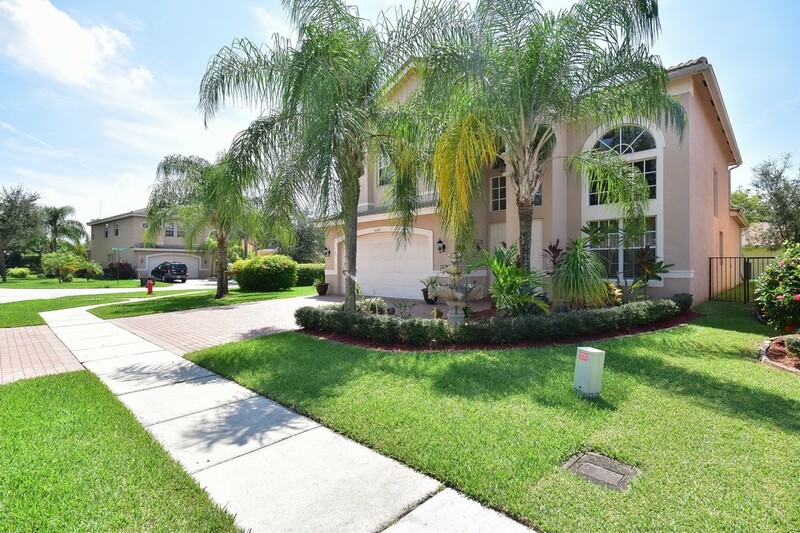 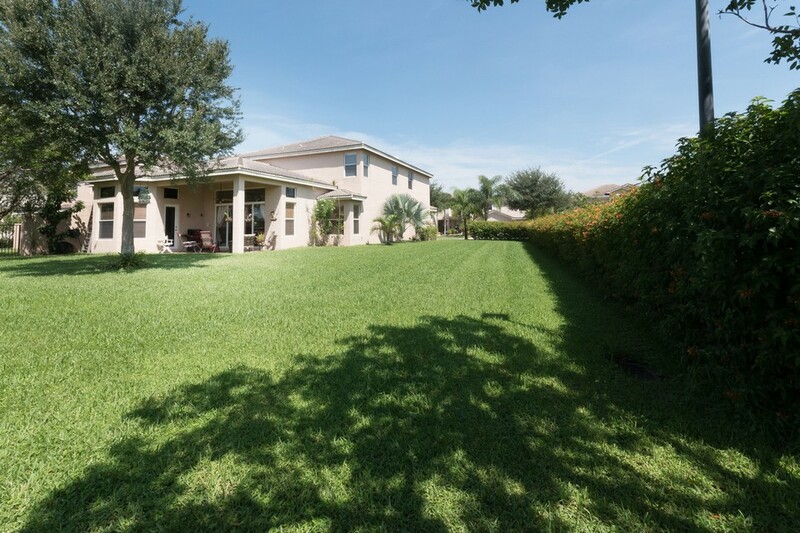 This home sits on a 1/4 acre lot & is in excellent condition. 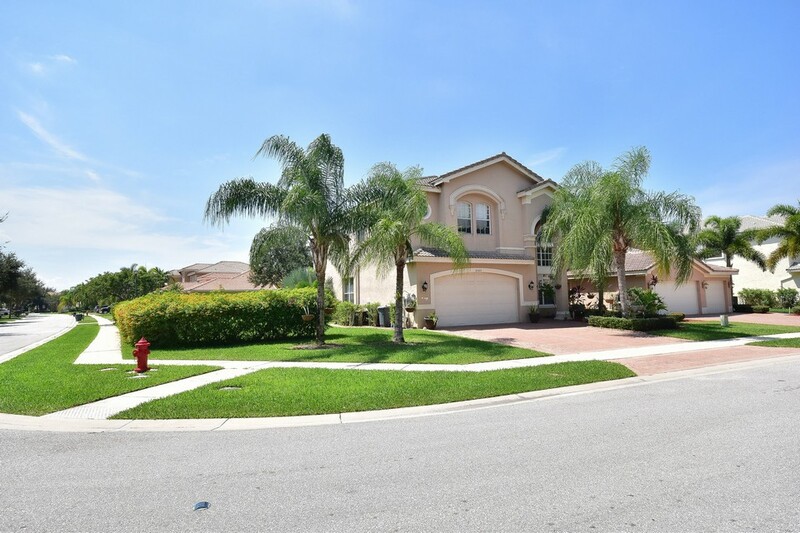 This rarely available floorplan includes a Master Suite on the first floor & 4 large bedrooms plus a huge loft on the 2nd floor. 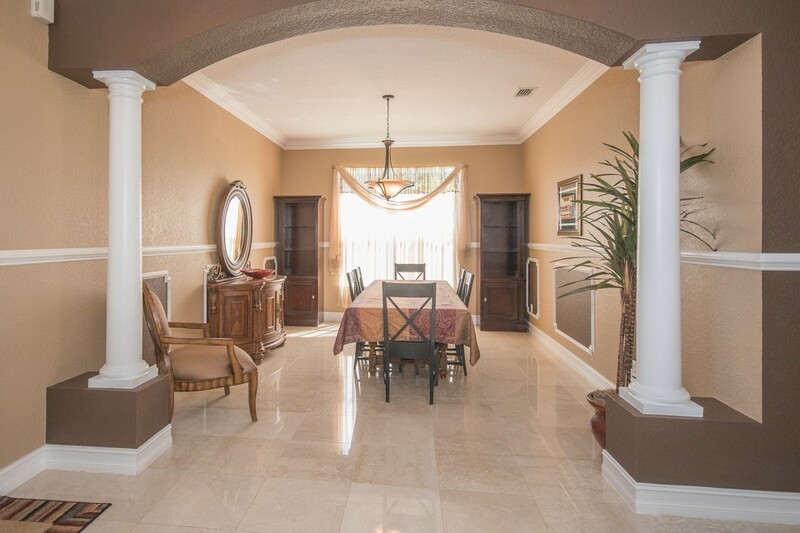 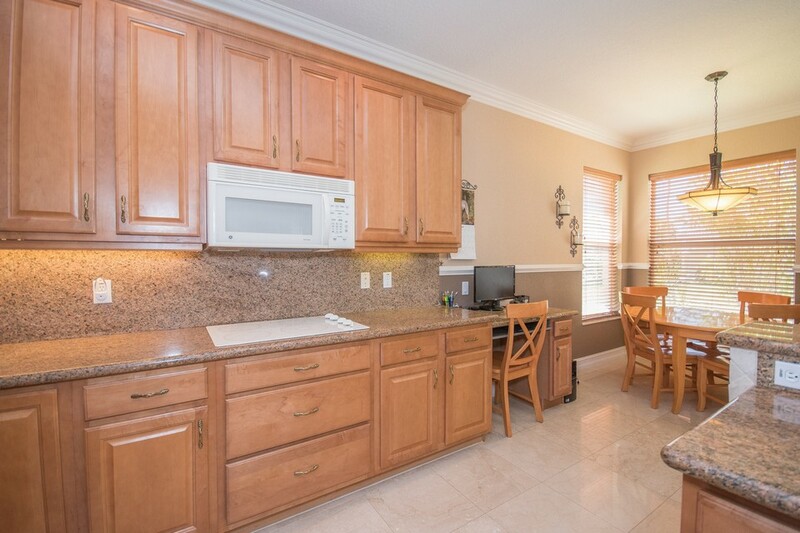 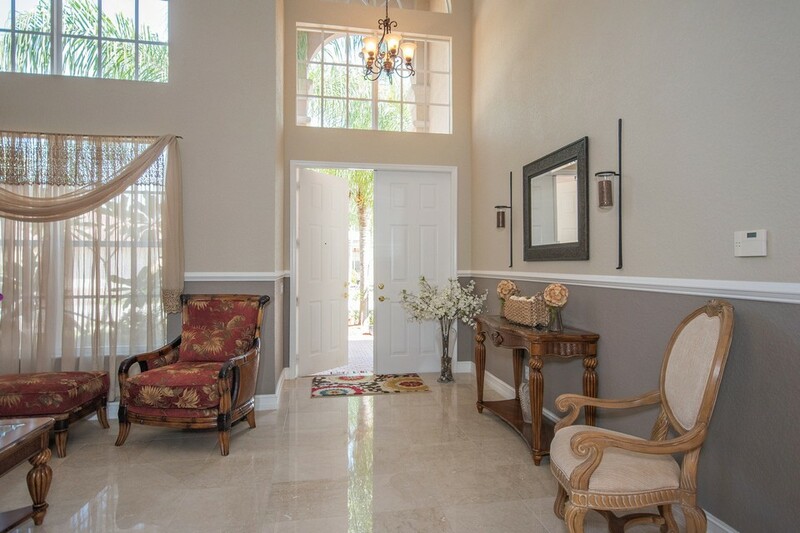 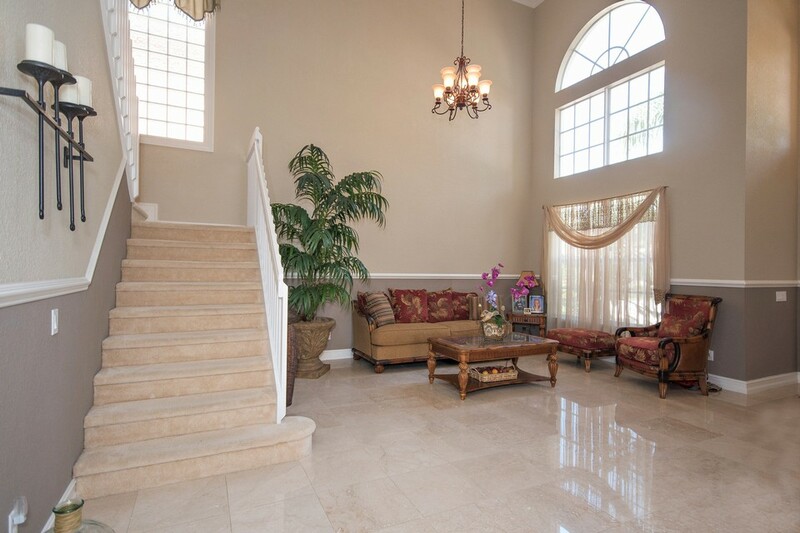 Entering the home you will notice the stunning Marble floors in most of the living areas & crown molding throughout. 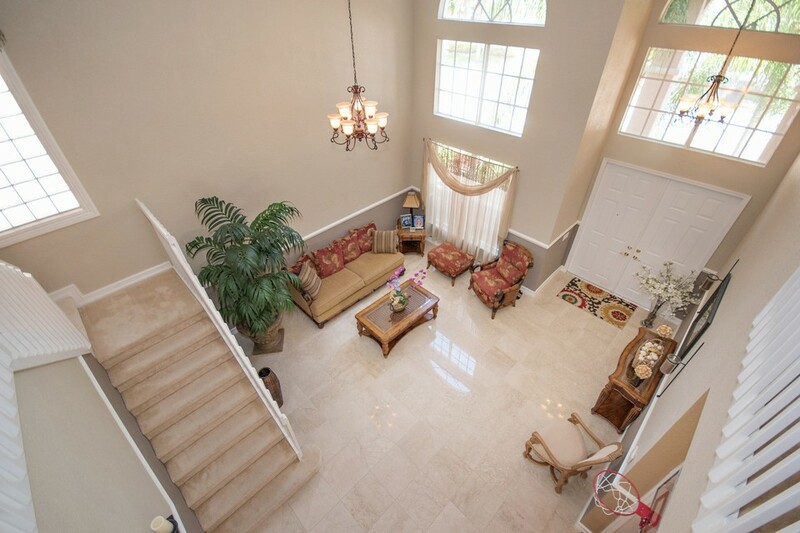 The living room has a dramatic 2 story ceiling. 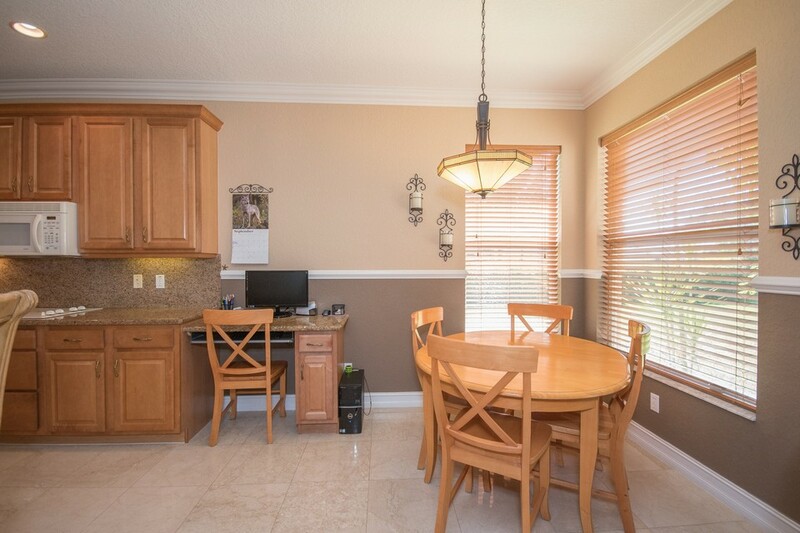 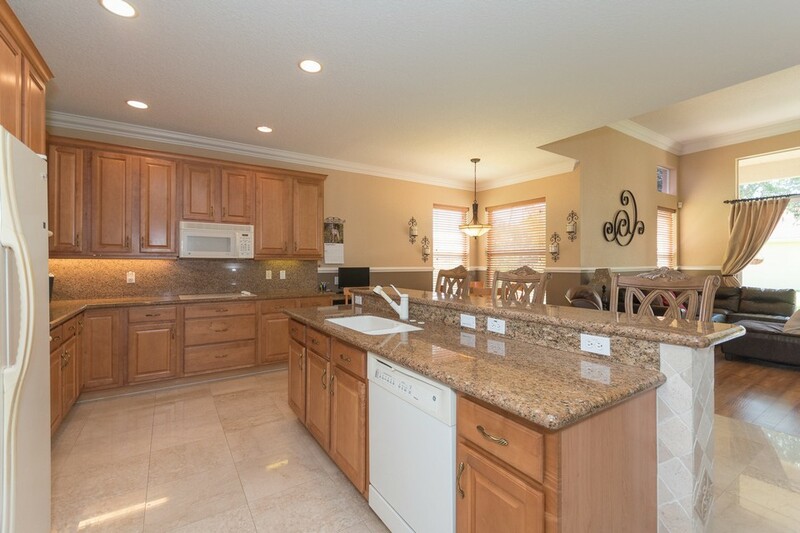 The beautiful kitchen includes a custom menu desk, a double oven, granite counters with full backsplash & wood cabinets with crown molding above. 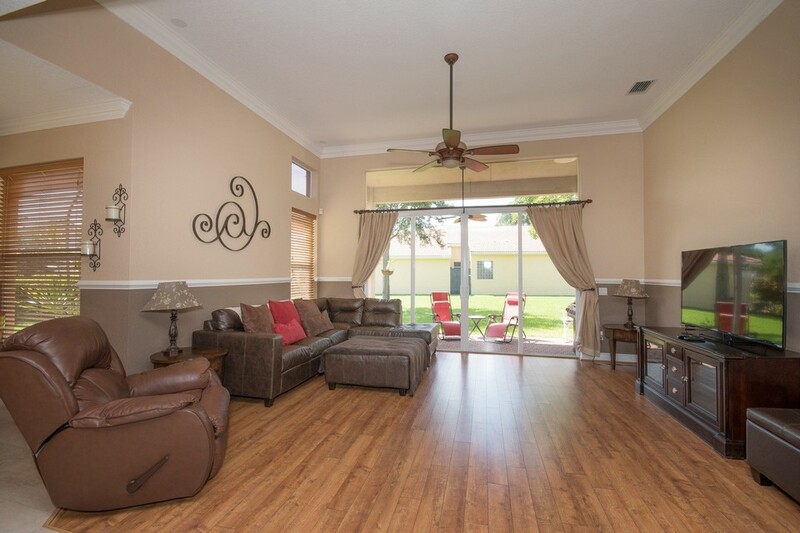 The family room features brand new wide plank laminate floors & surround sound. 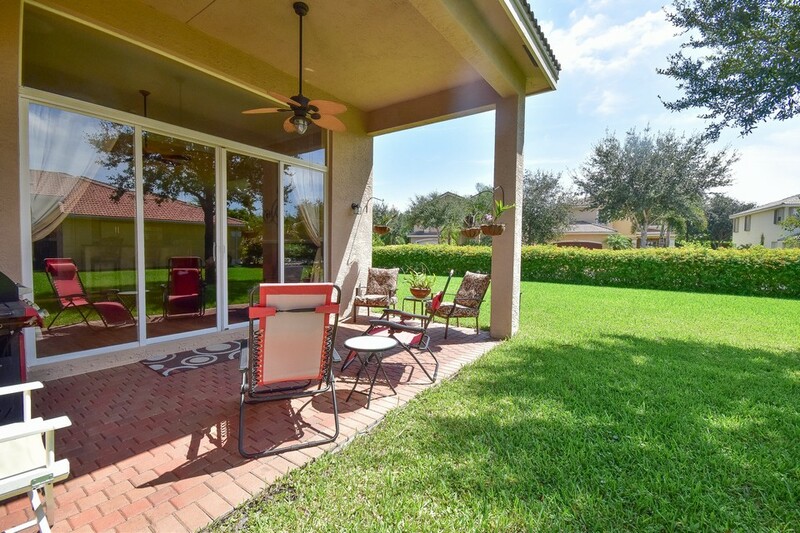 The sliders lead to a large covered patio & the tremendous backyard with sprinklers feeding off the lake. 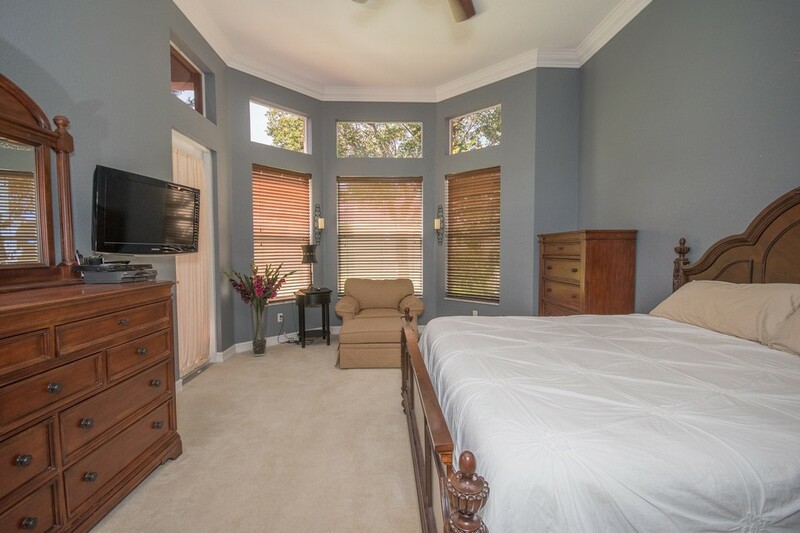 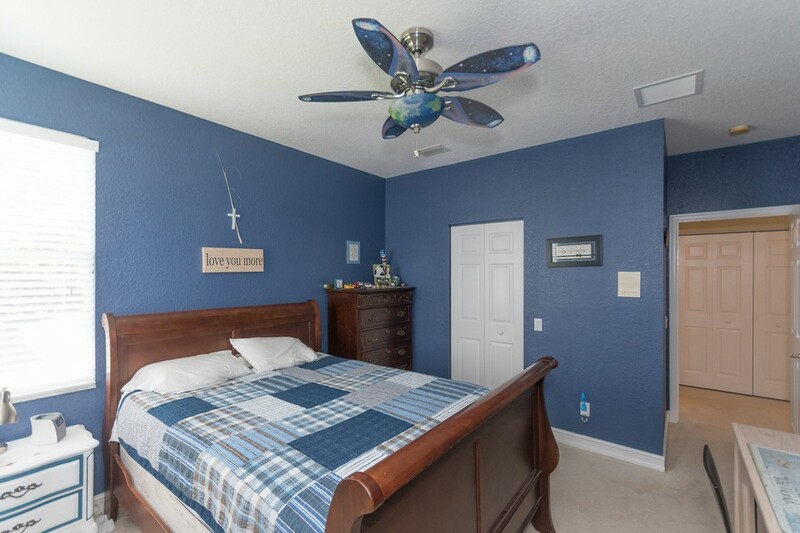 The master suite on the 1st floor is huge & has 2 large walk-in closets & a French door leading outside. 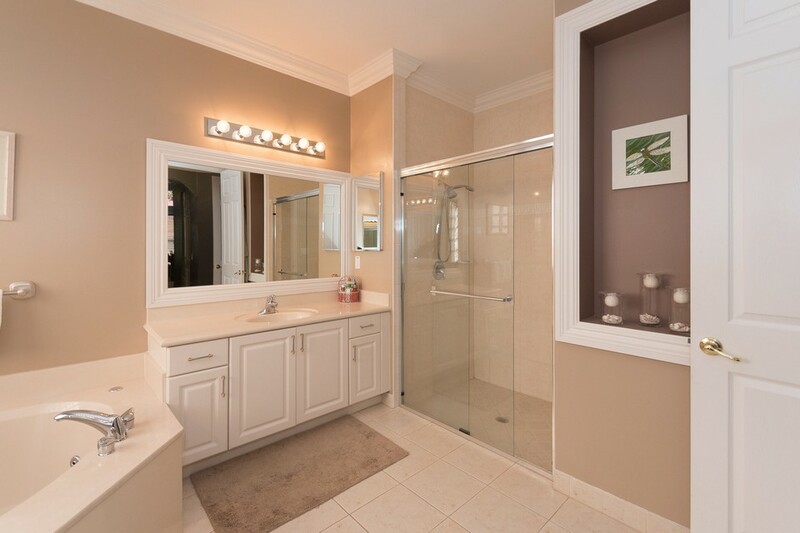 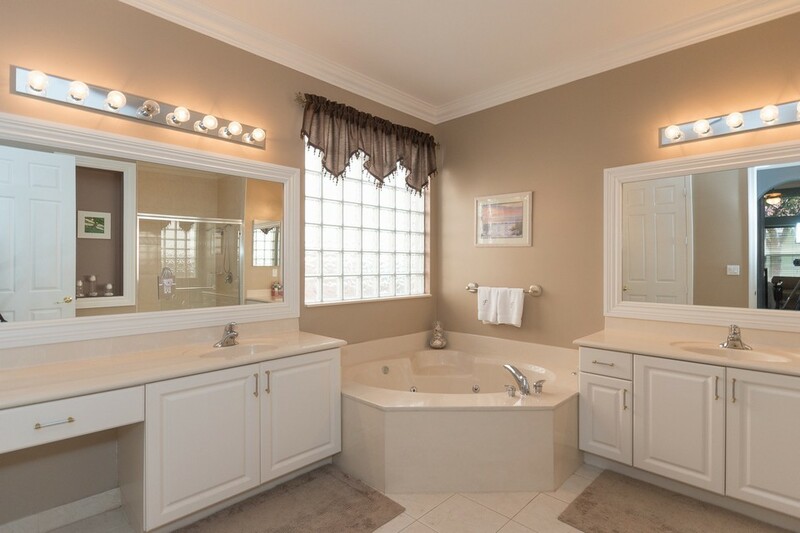 The master bath includes upgraded tile, wood cabinets & a Jacuzzi soaking tub. 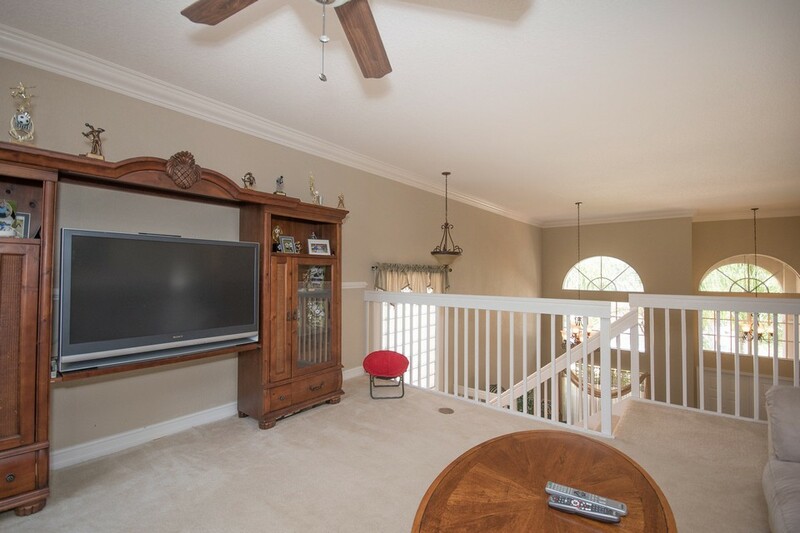 Upstairs, there is a huge loft that would make a perfect playroom or media room. 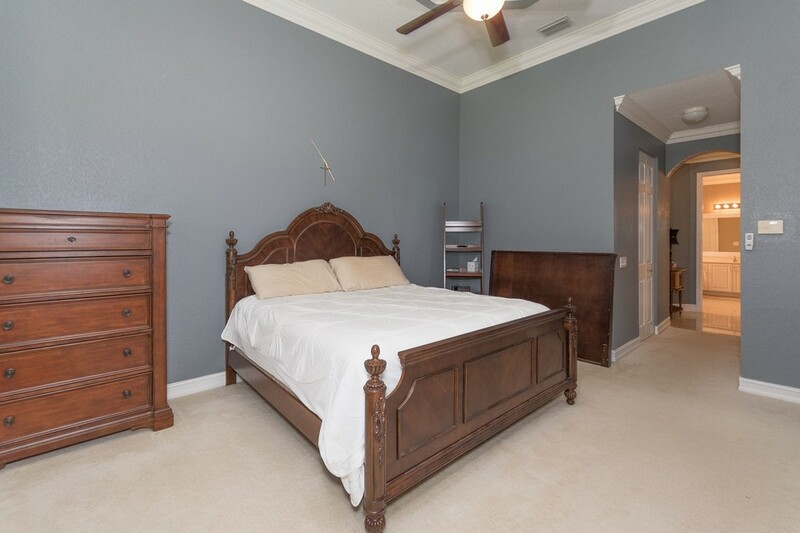 All 4 upstairs bedrooms are big & 2 have a jack & jill bathroom set up. 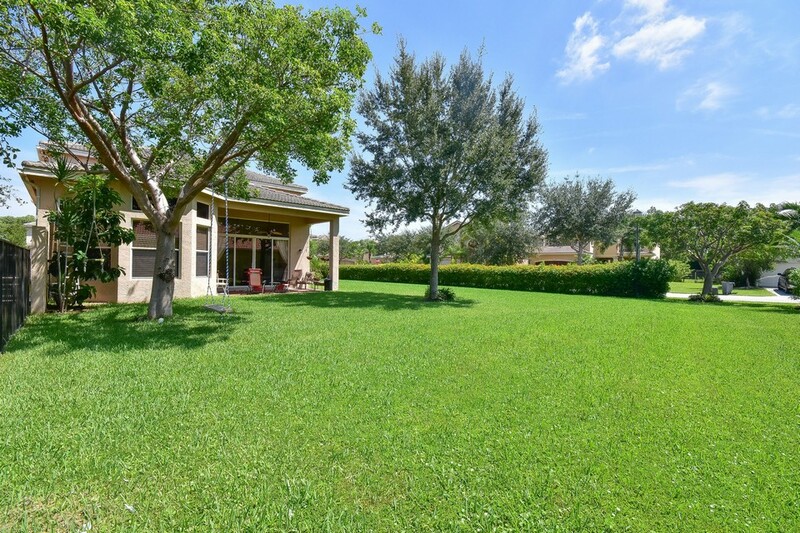 Canyon Lakes is a fantastic gated community with an amenity filled clubhouse all within walking distance to schools & shopping.